Thea's Thinkings: Blogger Snail Mail Sign up! 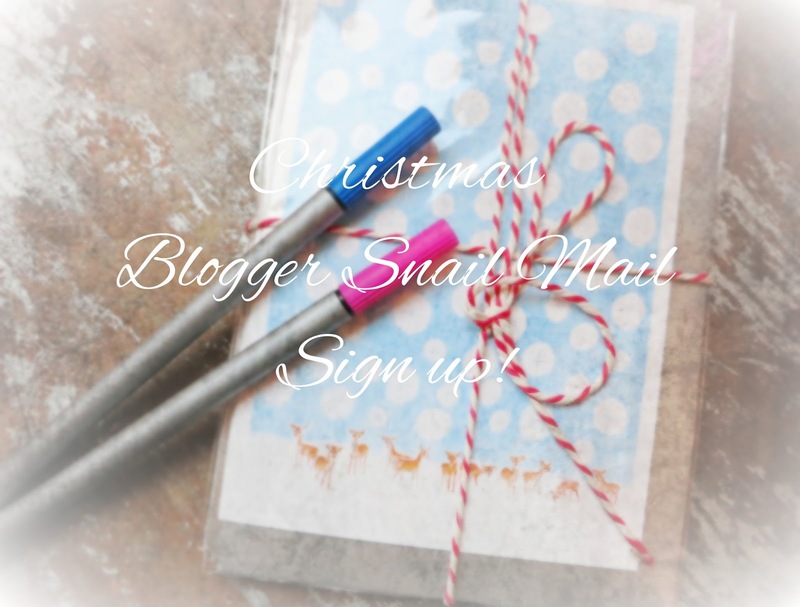 I’m so excited to see how many people want to join in the Blogger Snail Mail group! It’s been lovely to hear all your nostalgic stories of long lost friends, childhood memories and to see just how much we all want to connect with each other! I’m hoping to get back to all of you but if you don’t hear from me this month that's because there’s a whole group of us, so you’ll definitely be making new friends! As promised I’ve put together some simple questions to get you started if you’re nervous or not sure what to write about (please feel free to write about whatever you’d like! ), and I’ve also compiled a basic list of rules to be sure everything runs smoothly. This is the first time I’ve done anything like this so I may not have thought of everything, but as this is a community project please feel free to pass on any other thoughts of safety procedures we might want to have in place. First things first – Sign ups! You should be able to see in the side bar I've created a sign up list. If you'd like to take part please leave your first name and postal address in the sign up form and I'll get back to you with the address of your new pen pal! If you sign up by December 15th you’ll be in the group in time for the first Christmas post! If you sign up after this date don’t worry you’ll still be involved from January but I can’t promise that you’ll have a pen pal before Christmas (I’ll try my best). I’m hoping however, this will be something we can do every month, so once you sign up you’ll be able to send your letters every month and if at any point you decide you don’t want to or can’t take part anymore please let me know so I can take you off the list. Are you a blogger or a reader? Why did you start blogging? What type of blogs do you love to read? Do you have any plans for the future of your blog? Are you doing anything fun for Christmas? What’s your favourite thing to blog about, or do around Christmas time? Ask questions? Get to know your new blogger pen pal – Hobbies/Interests, blogging, blogger events, plans for Christmas/Next year on the blog or in real life! Don’t forget to include your social media and blog address so they can find you! Be sure to find your new pen pal wherever you can and show your support online too! If you have any question you think would be great to include please leave a comment and I’ll add them in too! Now for the important bits – Some rules. I’ve tried my best to include everything I can think of and for safety reasons there are a few extra rules which I hope you’ll agree with and understand. I wouldn’t recommend sending any photos of yourself or personal information. If you pass on a social media contact we can easily find each other online. If however, you choose to send photos or any personal information please be aware that you take full responsibility for this. For safety purposes you must be over the age of 16 years of age to take part. Some people may not celebrate Christmas so please bear this in mind. If someone directly express that they would not like to receive Christmas related contacts that is absolutely fine and I will inform all the people involved. It is not needed for you to send any form of gifts. You may do so if you wish but please bear in mind that you may not receive one from your pen pal. The gift of your letter will be exciting enough. Please be assured that your contact details will not be used for any other purpose or passed on to anyone but your pen pal. By signing up you acknowledge that your postal address will be shared with myself (or another blogger) and that in turn you will receive my address and/or that of another blogger. You are not permitted to use this information for any other purposes and are responsible for your own actions. This snail mail is open internationally but please bear in mind if you are sending your mail abroad you should check the delivery dates for your destination and make sure your letters are in the post on time. I can not be responsible for lost post. You are fully responsible for all communications and cannot hold me liable. Hopefully everyone will be friendly but I cannot be held responsible for anyone’s inappropriate actions. Fingers crossed we can all behave ourselves! Sorry I’ve not included delivery deadlines for all countries, if you live outside the UK please make sure you check your local delivery deadlines. For now I think that’s everything. I’m so excited to finally get to know you all a bit better, speak soon!